Even though your church is likely busy with preparing for Christmas, it’s also important not to forget about the year-end giving push. This is the biggest time of the year for charities—including churches. Nearly 20 percent of all charity happens in December. 20 percent of all donations are given in a single month. And that just so happens to be the same month when your church will have perhaps its highest attendance. Sure, the holiday seasons is about much more than encouraging people to give to your church. Especially considering that many of the people attending during this time might be first-time guests. 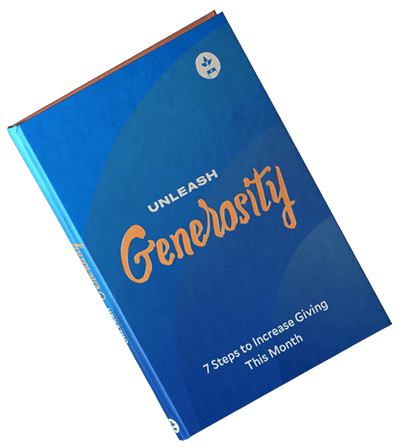 But end-of-year generosity is still something valuable to instill in your congregation. The rate of charitable giving sharply increases as the year draws to a close. Every year, about 11% of charitable giving happens on the last three days. Most of those donations happen on the final day of the year—December 31, New Years Eve. The number one reason for this statistic? People need to have these donations in by December 31 to have them count towards their tax break during the year. It may not be the most spiritual reason for giving, but it’s still something your church can significantly benefit from. Your church will likely be closed on December 31. And your staff will justifiably be spending time with family on this day. Which is why it’s key for you to make it easy for people to use online giving and mobile giving options—not just in an offering plate on Sundays. For whatever reason, most new donors don't research before giving to a new charity at the end of the year. Instead, they rely entirely upon causes that they’ve heard of already, or that a friend has recommended that they give to. This stat shows the importance of empowering your current church donors to tell their friends and family. Let them know why and how others can support your church financially. It also tells us that about one-third of donors still do their research. So don't forget to keep talking about tithing in the Bible and generosity—even on social media. If your church members don’t regularly donate to other nonprofits, they may not have a place to make their year-end donations to. Make sure they realize your church is among their options. Nearly three-fourths of year-end donors give in various ways—in person, through the mail, online, or via text message. How someone gives is dependent upon the person or the charity they’re giving to. This demonstrates how important it is for your church to have multiple giving options. Method of giving should never be a barrier at your church. Different people prefer to give in different ways—so it behooves you to make those ways available to them. The more you can automate this process, the more streamlined it will be when people are ready to give. Tithe.ly offers a variety of giving solutions that can help make year-end giving easy. Don’t make year-end giving to your church a hassle—otherwise, people will take their gifts elsewhere. Those who are already volunteering with an organization or church are about twice as likely to make a gift at the end of the year. That’s because these are people who are invested in your cause. They care about what you do and want to see your church succeed. For this reason, it’s important for your church to show gratitude towards your ministry volunteers. Thank them for all they do every year. Make it easy for them to give. And when they do, show them the power of their financial gift. The year-end gifts from volunteers are not surprising. But they also shouldn’t go unnoticed. Make sure you have a system in place to acknowledge and appreciate all who give to your church. What is your church’s plan for year-end giving?